Blog directory is the best place to promote your blog for absolutely free. Some of the blog directories are premium and many are free. You can make your blog popular by submitting it to blog directories.I complied a list of top 5 free blog directories which can help your blog to stay in touch with others, build online reputation and receive feedback from clients. These all top 5 free blog directories compiled in this list are very essential to submit your blog because these give you outbound links and some loyal blog readers. 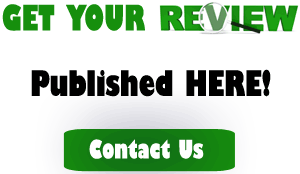 Technorati was the top free blog directory to submit your blog with loyal visitors. Almost 100 million blogs was submitted on Technorati. Here you can make your blog popular by integrating it with many real visitors on IndiBlogger. It is also a free blog directory where you can submit your blog to grab more visits and outbound links. Create you account first to submit your blog on Blog Catalog. It is free and oldest blog directory and can really fetch you some traffic. Bloggers is one of the fantastic free blog directories where you can stay connected with millions of bloggers and can increase the reputation of your blog. That’s all! These all blog directories are completely free to integrate your blog with them and will surely give you new visitors, backlinks, reputation and popularity.